Community-based management natural resource management has been increasingly advocated as an opportunity to improve natural resource governance. 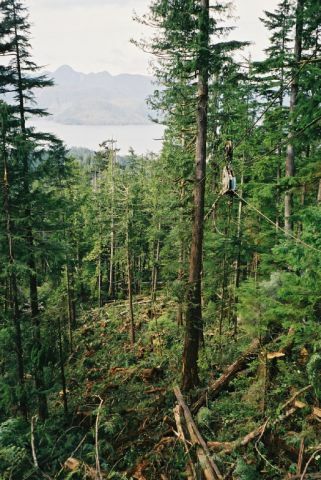 A new journal article that I’ve co-authored with Lisa Ambus examines a much publicized effort in this area, British Columbia’s community forestry program. 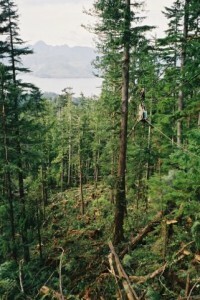 As of 2010, the province has issued 6 long-term (25 year) Community Forest Agreements and 22 “probationary” agreements. The article focuses on how much authority has actually been devolved to communities in these new tenures. We find that, despite the initial vision to provide “local control over forests for local benefits,” the actual extent of devolution has been quite modest: “The new community tenure is, with a few modest exceptions, essentially a much smaller version of the province’s area-based industrial forest tenure.” In addition, the program remains quite small: “while the program has been significantly expanded, the total volume allocated to CFAs still only amounts to 1%” of allowable harvest levels in the province. The main contribution of the article is the development of an analytical framework for determining the allocation of authority over forest management decision making between the provincial government and the community tenure holder. We create a matrix that examines a core set of decision functions, and then analyze legislation, policy, and license documents to determine who has the authority over what. Lisa Ambus and George Hoberg. 2011. “The Evolution of Devolution: A Critical Analysis of the Community Forest Agreement in British Columbia.” Society & Natural Resources Available on-line at http://dx.doi.org/10.1080/08941920.2010.520078. Sorry for the pay wall for those without access through university or other libraries. An extremely influential contribution to our conceptual thinking is Ribot, J. 2002. Democratic decentralization of natural resources: Institutionalizing popular participation. Washington, DC: World Resources Institute. This entry was posted in BC Forest Policy. Bookmark the permalink.